As You Approach the Halfway Point of Your Pregnancy, Your Baby Will Be Almost Fully Formed! 153 DAYS TO GO. . .
You’ll probably find that you and your partner are becoming more and more attached to your baby each day. 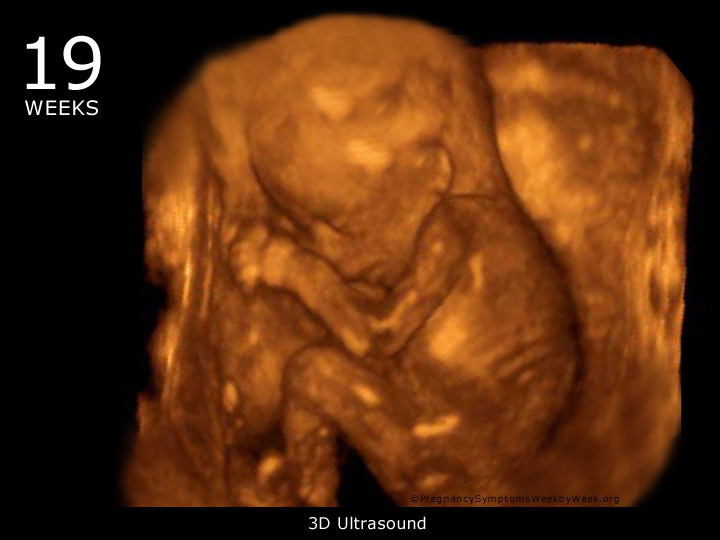 It’s easier now to think of your baby as a real person, especially if you see it on another scan around this time. The baby is almost fully formed and the functions of its organs are well advanced. 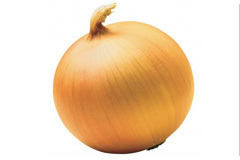 Your baby is about the size of an onion during week 19. Your Uterus is growing and stretching the ligaments that help support your baby. This may cause some aches and discomfort for you. The Brain is developing specialized regions that process the senses: sight, touch, taste, smell and hearing. The Arms & Legs are now at the correct proportions to the rest of the body. The Skin is becoming thicker and more opaque. The Abdominal Organs, including the liver, intestines, stomach, spleen and gall-bladder are now fully enclosed in the abdominal cavity. You’ll be taking your maternal responsibilities very seriously, but don’t let anxieties build up. Talk over any worries you may have with your partner and your doctor; many pregnant women also seek comfort and advice from their own mothers. Once you feel your baby move in the next few weeks, the attachment to it is likely to grow even stronger. Try to relax and enjoy your pregnancy, it will be over before you know it! 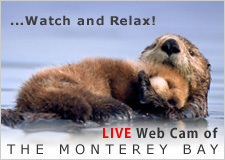 Try to relax and keep concerns in perspective. 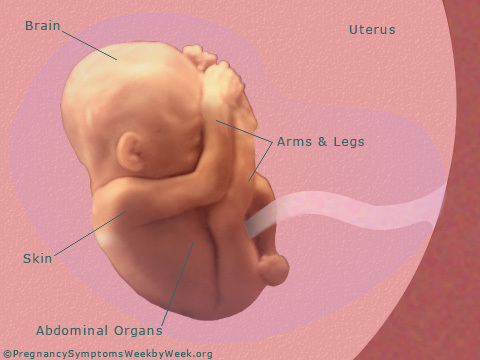 Remember that your baby is very resilient and well protected inside the uterus. If you have concerns about lifestyle issues or how your baby is developing, your doctor can provide information and reassurance. Meanwhile, take good care of yourself by eating well, exercising regularly, and attending all of your prenatal appointments. At this stage, your baby’s fingers and toes are fully developed and their unique prints are beginning to form. The ridge patterns in the dermis that will eventually form fingerprints are fully developed by this stage of pregnancy. These skin ridges are genetically determined, and as with most developments, are seen about a week earlier in the hands than in the feet.